Buying a bread maker for your kitchen is a purchase that pays off every time you use it. Finding the right fit for your needs can be daunting, as there are hundreds of machines to choose from. After countless hours of research and reviewing the different options available on the market today, we’ve put together a list of the best bread makers by category. Our goal is to give you a well-rounded list that puts the top models at your fingertips and saves you time better spent baking than on the internet. How Did You Choose Which Bread Machines to Review? We reviewed machines based on six categories, and include our top picks as well as three runners-up for each category that made the grade for the most commonly searched for bread makers. Each machine has its unique qualities, but all of our picks have similar features that are standard in today’s bread makers. Also, we include makes and models for specialty bread such as gluten-free. After our list of top machines on this page is a breakdown of these features, as well as other style and size considerations to look for when deciding on the right fit for your needs. Before you make a decision on which bread maker is right for your home kitchen, take a look at what we found. Coming in ahead of the pack by leaps and bounds and landing at the top spot for best automatic bread maker is the Breville BBM800. The Breville raises the bar for bakers, filling in the gaps that other high-end bread makers miss and giving the advanced chef all the tools they need to produce bakery-quality bread. The stylish, stainless steel machine has a robust set of 13 settings that include basic, wheat, French and specialty bread; and a gluten-free and jam cycle. The sophisticated operating system lets home bakers make custom adjustments to the time and temperature. 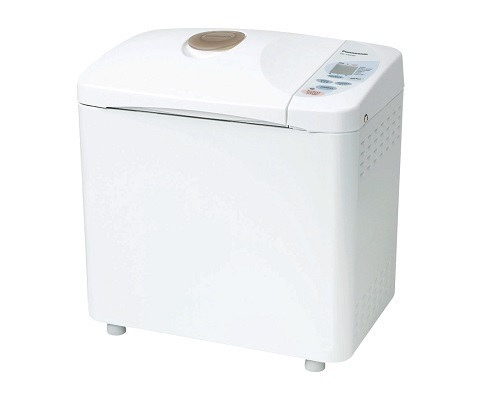 Topping our list for best professional bread maker is the Zojirushi BB-CEC20 Home Bakery Supreme. A high-end machine that pulls out all the stops including multiple functions for different loaves of bread, a 13-hour delay timer, and settings that let you cook meatloaf and jams; the Home Bakery Supreme gives you the flexibility and durability needed to do the job right. Tested by professionals, results report that the Home Bakery Supreme consistently kneads dough better than food processors or the traditional hand method. When paired with the quality and engineering that the Zojirushi brand is known for, this chic machine soars above the competition in its class. Our pick for the best bread maker for the money is the Breadman TR520. The Breadman is an all-around baking machine that has many of the robust features of more expensive models. It makes our list as it matches or beats the competition in the standard settings for different kinds of bread. We especially like the TR520’s rapid bake function; taking one hour to produce a golden brown loaf of bread, instead of the two hours that most models on the market offer. Another feature that put the Breadman on top is its simplicity; an easy-to-navigate menu takes the hassle out of conversions and temperature calculations. When it comes to handling the many stages needed to make the perfect loaf of gluten-free bread, the Zojirushi BB-PAC20 Home Bakery Virtuoso Breadmaker takes the cake. The gluten-free setting has a rest cycle, three rise stages, a baking period, and a keep warm function at the end of the process that browns the bread to perfection. We also like the striking machine’s quick bake settings, divided into categories by bread and programmed to handle the subtle differences between the types of flour used and the delicate requirements of specialty recipes. Our pick for the best kneading machine is the KitchenAid KSM150PSMC Artisan Series, 5- quart mixer. The large bowl can knead enough dough for four loaves of bread at one time. It comes with a two-piece pouring shield, a kneading hook, flat mixing blade, and a wire whip. 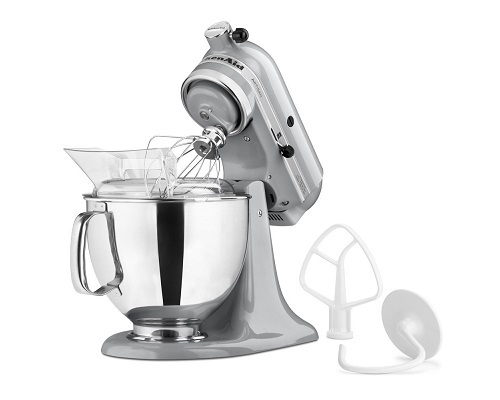 The KitchenAid’s strength is in its design, drawn from 97 years of experience in making top-of-the-line mixers. The KSM150PSMC has ten speeds to control mixing and a 67-point rotation that evenly kneads dough without leaving dry spots in the corners of the bowl. Adding style to function, it’s available in 25 stunning colors. 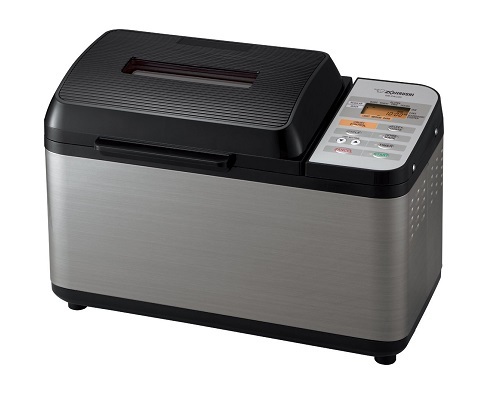 The Panasonic SD-YD250 automatic bread maker with yeast dispenser is our pick for the best horizontal bread maker, scoring high marks for its ease-of-use, precision, and the quality of the bread it brings to the table. Panasonic is a leader in making quality appliances, and the SD-YD250 is at the head of its class for its no-frills attitude when it comes to making bread. The design gives bakers ample options to choose from for different settings but doesn’t overwhelm the user with too many adjustments and custom features. We like that the baking pan can make a 2.5-pound loaf, big enough for the whole family to enjoy. 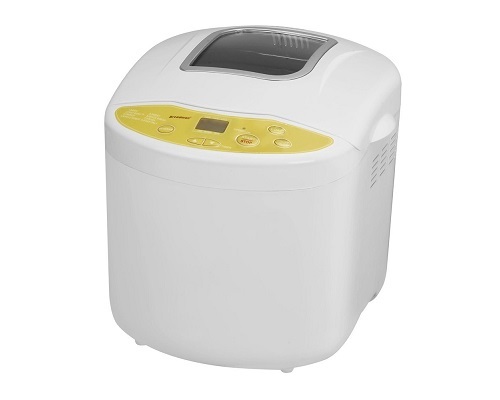 What are the Basics I Should Look for in a Bread Maker? There are standards that all bread makers have in common, no matter what the cost or how many bells and whistles they come with. Before making a decision, take some time to familiarize yourself with the basics. Most brands design their products so that they are easy-to-use. They have standard settings to accommodate different kinds of bread; including basic, French, Wheat, and sandwich. This feature takes the work out of making bread, the temperature and time settings are already pre-programmed into the machine. Most machines also have a rapid bake cycle and a delay timer that lets you set up the bread mix and continue with your day knowing that a homemade loaf of bread awaits you once you return home. Specialty features on bread makers include settings for gluten-free recipes that use complicated steps when baking, the ability to cook jam and even meatloaf, and custom options for the knead, rise, and bake cycles. These include the capacity to adjust the time and temperature, which is useful for advanced bakers who have their preferences based on specific recipes. Other accessories on advanced bread makers are trays that automatically add yeast, fruits, and nuts. For sweet bread or recipes that depend on precision timing when adding a rising agent, these features go a long way and take the awkwardness out of waiting for an alarm to sound to add crucial ingredients to the mix. Depending on the model and the price tag, bread makers come with recipe books, DVD instruction manuals, different kneading blades, and measuring cups and spoons. Bread pans are another important feature across the board, as the size of the loaf that they can produce, is a significant factor when deciding which model to buy. The largest loaf produced by a bread maker we list, weighs 3 pounds, while most that we included produce between 1 and 2.5 pounds. How Does the Price Come into the Picture? 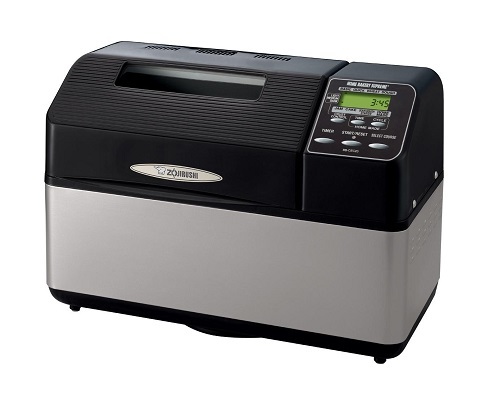 We list a variety of bread makers that range in price from under a hundred dollars to well over it. While the difference is quality between the machines is reflected by how much they cost, the affordable ones we list are included because they are the best for your buck. If you are a beginning baker, who wants fresh bread without having to take a cooking course, one of the basic machines on the list will get the job done. For advanced bakers who need custom options that control tricky parts of the baking cycle, more expensive models that we review to provide you with the features you need. These machines are the best on the market, offering custom settings, precision, and quality that professional bakers expect. The price for that is higher than more simple machines, but the results that you can achieve pay off. What Else Should I Look for in a Bread Maker? After deciding on how you will use a bread machine, the options that you need, and the price that you want to pay; other important considerations are style and size. The bread machines that we review come in all shapes, sizes, and colors. There are options for small kitchens, stylish additions to a modern space, and machines that are considered state-of-the-art for their appearance and function. When choosing the right model, take the time to add your personal design taste to the list of requirements for buying a bread maker. A final consideration when deciding on the right bread maker is the size. Our list has machines that can take up a small, stand-alone kitchen island, and those that fit on a pantry shelf or in a cabinet when not in use. Think carefully about where the machine is going to go in your kitchen. Far too often bread machines end up in the basement after a few weeks because they take up too much room instead of other equipment. Bread machines are a convenient appliance for your home that can cut costs when buying groceries, make it easy to bake bread the way you want it, and bring a homemade touch to any meal. The variety of machines available means that you have plenty to choose from as far as size, the amount of bread that can be made, and the control over the baking process. Taking the time to find the right bread maker makes life easier; after the decision is made, you take home the machine that fits your kitchen, style, and tastes instead of struggling to make do with the latest brand advertised. 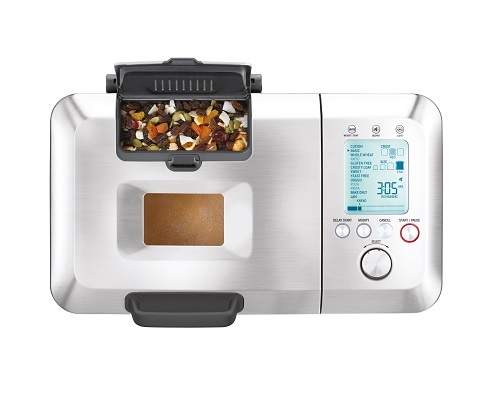 We hope that the information that we provide helps to guide you through this process, giving you a bread maker that adds to your household’s mealtime enjoyment for years.